With over 30% of adults over the age of 65 falling each year, knowing how to fall is just as important as learning how to avoid a fall. In fact, if you learn how to fall the right way, you can avoid some of the bigger risks from falling like fractures, lacerations and concussions. Your head is your most important body part and the most critical to protect. If you're falling backwards, tuck your chin in to your chest keeping your head off the ground. In addition, if you feel like your falling backwards or forwards, try turning to your side, so that your back and tush absorb the brunt of the fall, instead of the front or back of your head. One of the worst things you can do is get stiff when you fall. Think of yourself like a wet noodle. Dry noodles crack, wet noodles bend, but don't break. Keep your knees and elbows bent as you fall, so they can absorb your weight. If you put your arm out straight and firm, which may be your instinct, you're more likely to break your arm or wrist. Along the same lines as staying bent, try to stay loose and flexible as you fall. Go with the flow. Some of our biggest injuries occur when we try to resist the momentum of a fall, instead of going with it. The body parts that tend to get injured are the ones we tend to keep stiff, like our wrist, ankles and shoulder. Pliability, is key. Instead of landing on your elbow, wrist, hip or shoulder bone, try landing on the bigger, "softer" areas of your body, like the side of your bum, your lower back, or the back of your shoulder. The larger the surface you fall on, the more spread out the force of the impact will be, usually resulting in less injury. Notice how in each of the pictures above Tom Brady keeps his legs, arms and torso bent, lands on his big body parts, stays flexible and keeps his head off the ground. 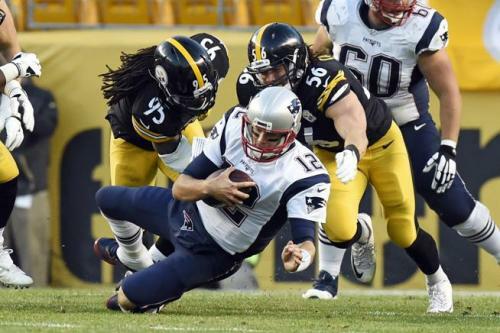 Rarely does Tom Brady resist a sack. Absorbing the momentum of the sack takes away the impact. Doing the same when you fall can similarly protect you from the worst. Obviously, you'd rather avoid falling in the first place. To that extent, you should work on your balance, flexibility and strength, use proper footwear, fall proof your home and address any chronic health conditions or medications that might contribute to your risk of falling. 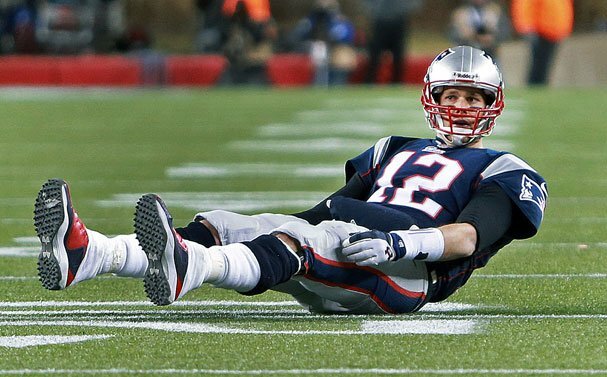 That said, no matter how much you reduce your risk, knowing how to fall the right way, will go a long way to increasing your longevity at peak performance, just like Tom Brady.